Finding the perfect vehicle for your needs is not always as simple as it seems. When your credit score is low, has not yet been developed enough to obtain traditional financing or your savings are limited, you may think that it is not currently possible to get approved for an auto loan in Denver, Colorado. Although the Denver Post reports that late payments on vehicles have increased by 0.88 percent, Auto Credit Express can match you with a dealership that offers bad credit auto loans to help you overcome any challenges that may be holding you back from buying a car. The number of auto loans for men and women with a credit score in the 500 to 600 point range has increased by 22.4 percent in the Automotive Credit Trends Report by Experian. More lenders in Colorado are willing to work with you and provide an auto loan, even if your current credit score is lower than average. All of the auto lenders in our network provide a second chance if you have struggled with loans in the past or have run into unexpected financial challenges that have resulted in a negative impact on your credit score. Low credit score auto loans are specifically designed to help you rebuild your credit rating and get the transportation you need to travel around Denver and the surrounding areas. Going through a bankruptcy can wreak havoc on your personal credit score, and it can persist for several years after the paperwork is filed. The best method for obtaining a second chance with a new or used car is seeking an Auto Credit Express lender who specializes in bankruptcy auto loans. A bankruptcy auto loan is another version of a bad credit loan. 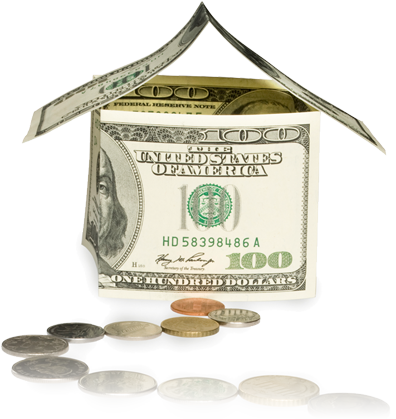 It is specifically designed for those who have faced dire financial situations and filed bankruptcy as a result. Finding the right post-bankruptcy lender in Denver may seem challenging, but we can help connect you with lenders who are willing to give you a chance and walk you through the process of obtaining a new auto loan after or during a bankruptcy. Average Miles: 1064 139 are for sale right now! Average Miles: 66 130 are for sale right now! Average Miles: 36309 117 are for sale right now! Average Miles: 8852 102 are for sale right now! Average Miles: 8956 100 are for sale right now! Average Miles: 42656 91 are for sale right now! Average Miles: 7082 87 are for sale right now! Average Miles: 37345 74 are for sale right now! Average Miles: 29300 71 are for sale right now! Average Miles: 34758 68 are for sale right now! When you are struggling with bad credit, a buy here pay here dealer in Denver may offer a realistic solution in the Denver area. A buy here pay here dealer, otherwise called a BHPH dealer, helps arrange a loan so that you can purchase a vehicle from the dealer directly. Instead of seeking traditional financing, you make a simple down payment and then make weekly, bi-weekly, or monthly payments directly to the dealer. Some Denver, CO dealers will allow you to make payments via the Internet or mail, so it is important to ask about what methods are accepted before assuming that you must drive to the dealer to make your payments. The benefit of a BHPH dealer is that they can help work around your financial situation so that your payments are appropriate for your budget. You may be able to work out a deal that could not be possible through a traditional lender. A rent-to-own car lot is another way to help get your finances back on track. Instead of buying the vehicle directly, you "rent" it for a set period of time. If you make all of the required weekly, biweekly or monthly payments outlined in the contract, you will own the car. This is the primary distinction between a lease contract and a RTO plan. In a leasing agreement, it is generally understood that you have no intention of owning the vehicle. 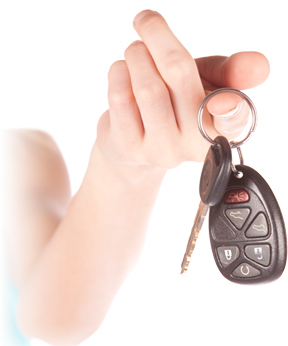 Some rent-to-own car lots allow you to work out a plan that builds up your credit by renting the vehicle. When you make payments regularly on the rented car to a RTO dealer who reports timely payments to the three major bureaus, your credit rating will improve. Just make sure that you're working with an RTO dealer that regularly reports on-time payments. Rent-to-own options will vary, so read all of the documentation to ensure that you know the amount of time that you are renting for and how the process works after you've decided to purchase the vehicle. These types of dealers work differently than traditional lenders. First of all, there is no third party lending. The dealership itself will provide you with a rental agreement on the vehicle, and once your renting period completed, there may be a balance or fee that must be paid before the title is transferred over to you. It all depends on the contract. With these types of situations, there is no stress or hassle of wondering if you will be approved by an outside source. And you won't have to worry about explaining your credit report and the black marks on it. Instead, the person who will make the decision is sitting in front of you, working every angle of the loan to make sure that it fits within your budget so you don't fall behind. Financing a vehicle through traditional lenders may or may not be possible, depending on your credit and the circumstances surrounding your vehicle purchase. If a traditional lender falls through or you find that you are not qualified for traditional loans, Auto Credit Express can help connect you with an appropriate Denver auto dealership that provides in-house financing. A dealer that provides in-house financing is similar to a buy here pay here dealership, in that you are getting a loan from the dealer directly, rather than from a third-party lender. And you will typically make weekly, biweekly or monthly payments directly to the dealer. Tote the note car dealerships are another type of in-house financing solutions. Here, the dealer offers a loan directly to the buyer, rather than using a third party to finance the auto loan. The dealer then allows you to make weekly, biweekly or monthly payments on the vehicle directly at the dealership. When you pay the full lien on your vehicle, the dealer will inform the Colorado Division of Motor Vehicles and you will claim ownership of both the car and the title. Auto Credit Express will connect you to the best dealers in Denver for tote the note services, and set you up with the dealership that is right for your financial goals and vehicle needs. A wide range of dealers are willing to offer direct financing, but the interest rates and offers that you may receive will vary. In many cases, a tote the note dealership will offer used vehicles. According to the Colorado Attorney General, used vehicles are typically sold in "as-is" condition, so you may want to have the vehicles that you are interested in purchasing evaluated by a mechanic before you determine if any of them are appropriate for your needs. Colorado lemon laws associated with used vehicles are limited and primarily relate to false advertising.es that you are interested in purchasing evaluated by a mechanic before you determine if any of them are appropriate for your needs. Colorado lemon laws associated with used vehicles are limited and primarily relate to false advertising. Past financial challenges that have resulted in a low credit score do not necessarily mean that you cannot finance a car. Our dealers are willing to offer you a second chance so that you can get back on your feet and start working on rebuilding your credit score. At Auto Credit Express, we can help connect you with the right dealers in Denver so that you can take the next step forward. Get started today with our online auto loan loan request form, and you could be back on the road in a new-to-you used vehicle before you know it.